Wharton Arms Skelton. 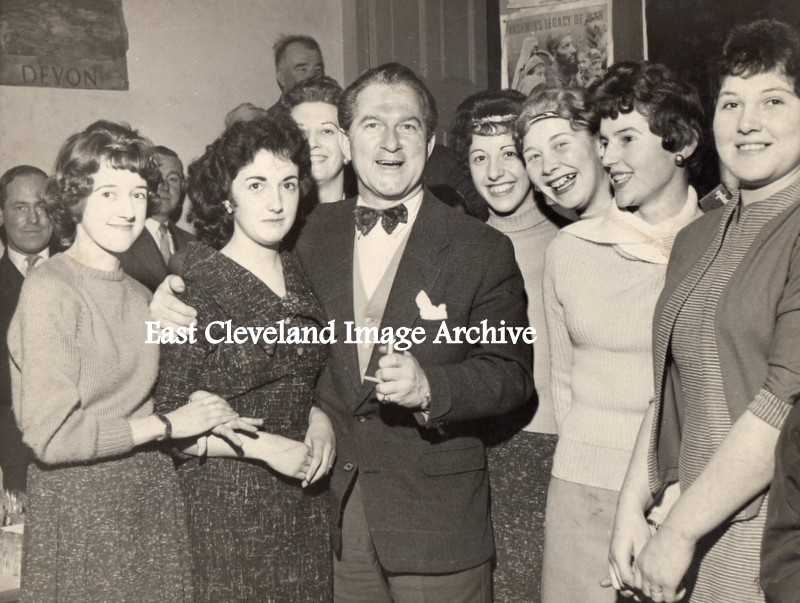 The entertainer in the middle of the young ladies looks familiar. What was the event, and assistance needed for names and year please. Ann Robinson tell us: ”I think the man in the middle is Donald Peers a singer from the 50s. I used to play darts in Skippers in the 60s. My mam was a good friend of Rhoda”. Photograph courtesy of Pat Bennison and thanks to Ann Robinson for the update. I think the man in the middle is Donald Peers a singer from the 50s. I used to play darts in Skippers in the 60s. My mam was a good friend of Rhoda.